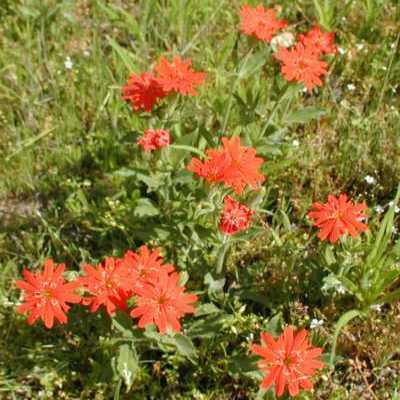 Description: Annual or perennial herb, up to 2' tall, erect to sprawling. Leaves blue-green, finely dissected, alternate, mostly at base of stem. 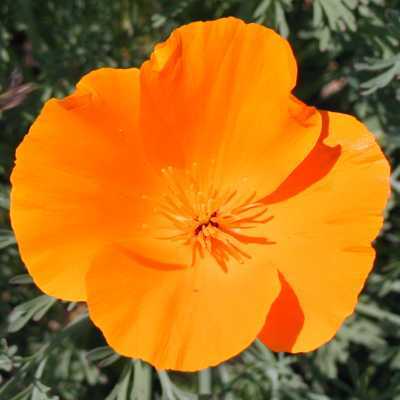 Flowers vary in color from buttery yellow to a crimson golden orange, 23" across, with 4 wedge-shaped petals. Sepals join into a cone that is pushed off as flower opens. Conspicuous flat, pinkish rim at ovary base. Flowers fold at night & on cloudy days. Description: Slender annual herb, 636", stems often stout. 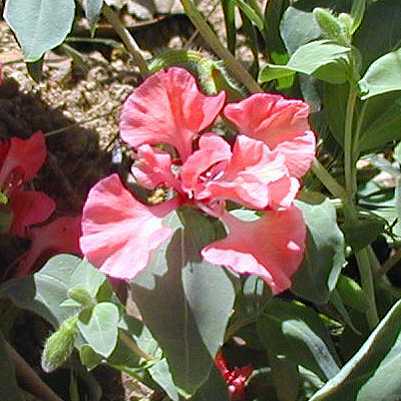 A few lanceolate leaves (¾3") with buds nodding along an erect raceme of a few flowers. Flowers are 4-petaled (11½") with circular, diamond-shaped, or broadly triangular ends with a reddish blotch, and narrowly stalked bases. 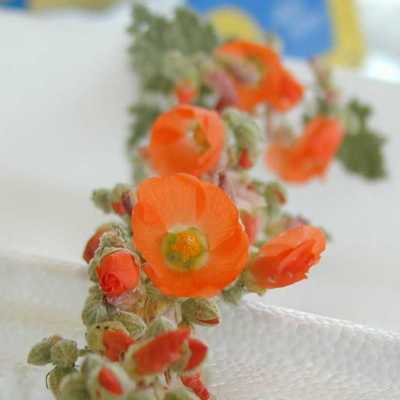 Description: Perennial herb, similar to hollyhocks. 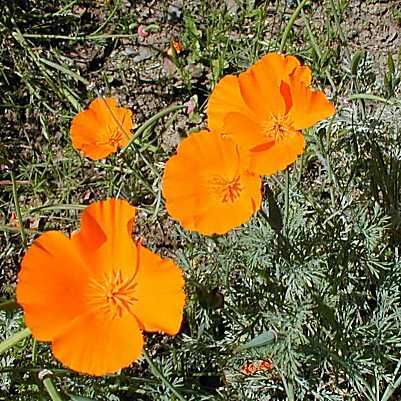 Globemallows are densely covered with detachable hairs that irritate the eyes and discourage animals from eating them. 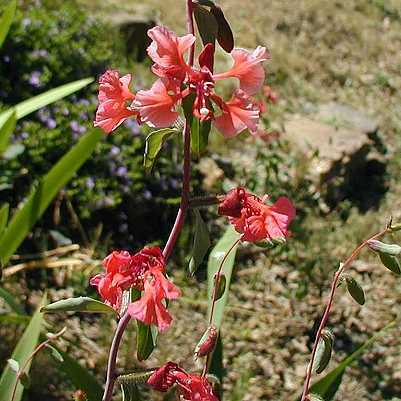 Subspecies are difficult to tell apart, and often hybridize. Description: Annual herb. Stems 820", erect or trailing. Leaves ovate, 1¼3", opposite. 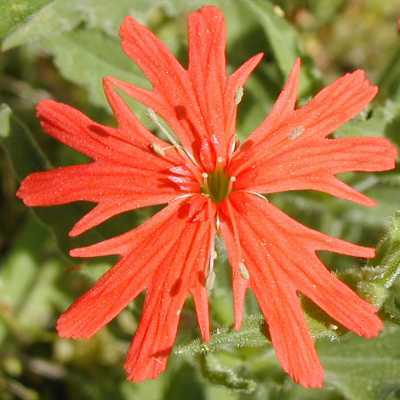 Bright red flowers are 12", fringed, resembling pinwheel. 5 petals each having 46 lobes. Description: Annual herb, 13'. Leaves ¾6" long, narrowly or broadly lanceolate. Small yellow-orange flowers in coils at ends of branches. Calyx with 5 narrow lobes; corolla about 1/8", all petals joined to form a funnel with a narrow tube and abruptly flared end. The leafy stems have both long, spreading, bristly hairs and very short, dense, downward-projecting ones. Description: Annual herb; creeper; 4-sided stems forming 410" mats. Leaves to ¾", opposite or in whorls of 3, are shiny, bright green. 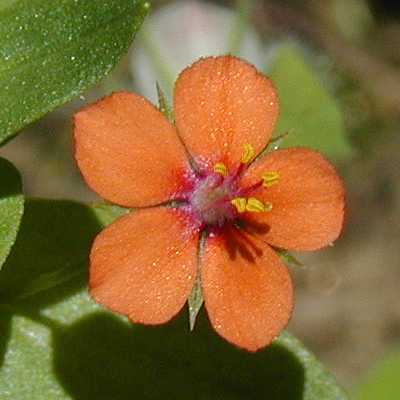 Blossoms are small (¼"), flat, bright pinkish-orange (rarely, a blue phase may be mixed in). 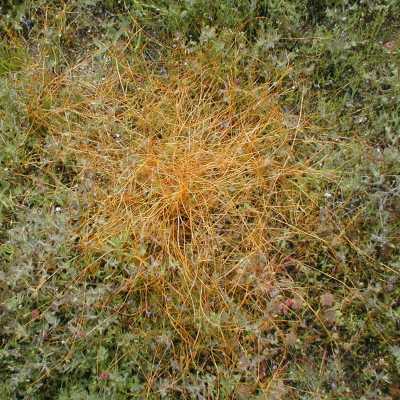 Description: Deciduous shrub with clumping habit. 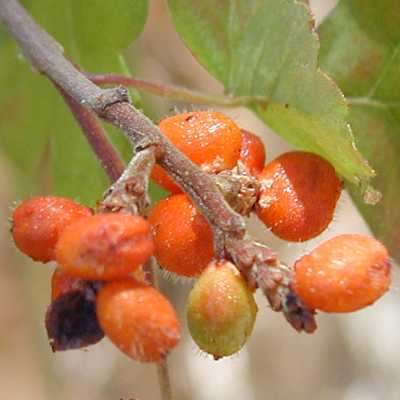 Bright orange to red berries in fall. Description: Shrub, up to 16'. Branches deep maroon, shedding in thin strips.  Leaves leathery, pale or gray-green, ovate to elliptic, up to 1½" wide. Inflorescence is a cluster of many 3/8" urn-shaped, nodding flowers, pink to white. 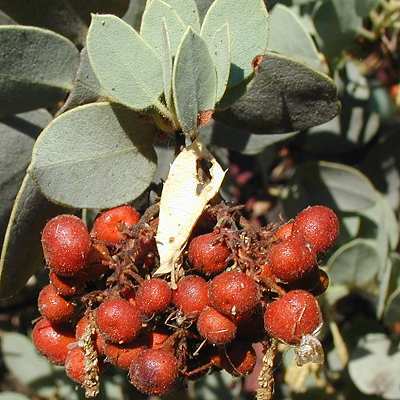 Brown fruits (which have sticky surfaces) look like tiny apples, hence its name (manzanita is Spanish for "little apples").